Tribalism’s slide into bullying has become seemingly pervasive. We’ve all seen how it contaminates schools, sports, and work. In all of these collective institutions there is a drive to form tribes—often motivated by a desire for constructive kinship, but just as frequently for purposes of control, and exclusion. The change begins at home with parents who understand that hate causes violence. However, a parallel and equally disturbing trend is happening ecologically in the US, with the rejection of climate change science and the withdrawal from the Paris Accord. Though climate change may at first appear to be a separate issue from the xenophobia and anti-refugee mindset, they are more inextricably tied to one another than we are led to believe. Long-standing concerns around the bureaucratic and often unhelpful nature of children and families social work were brought to a head in Prof Eileen Munro’s (2011) review of child protection. With colleagues, I recently completed a project involving social work academics and children and families social workers from neighbouring local authorities to try and facilitate such a shift in child protection cultures. Teachers to nurses, youth workers to psychiatrists, psychotherapists to social workers—you name it, we are legion; the “helping professions”. We’ve made progress over the past century, finding effective ways to help many – perhaps most – of the difficulties our clients face, but we shouldn’t be complacent. Even the most “evidence-based” of our interventions are only effective for 50-60% of the cases that they are used with. atherhood is a complex and an evolving concept which has gained national attention. Fathers play an important role in the development of their children, which also has an impact on their identity as a father. Minority fathers, particularly Latino fathers, have been under-recognized in this call to better understand fatherhood. However, given that Hispanics are the largest minority group in the US, the experiences of these fathers are of heightened importance. Certainly we should be happy that kids from “at risk” environments graduate from high school and do not end up in prison for life. But is this enough to aim for? We may not score their life outcome as minus 5 (on a -10 to +10 scale), but Chiron’s life outcome does not warrant much more than a zero. Why? Because his intelligence, unique gifts, and potential were not fostered (which would go on the plus side of zero). In the summer of 2014, reports that a ‘septic tank grave’ containing the skeletal remains of ‘800 babies’ was discovered within the grounds of a former home for ‘unmarried mothers’ in Tuam, County Galway, featured prominently as an international news ‘story.’ Interest in the issue was prompted by the tireless and tenacious work of a local amateur historian, Catherine Corless. A recent AARP billboard reminds us that the duty to care for an aging or ill parent begins with remembering the care provided to us when we were children. How does this caregiving expectation, grounded in reciprocity, apply to the approximately 76 million Baby Boomers in the United States whose aging will dominate the next few decades? We face a host of intertwined issues of social justice today, most of which are not new but deeply embedded historically. Poverty is ubiquitous, and economic inequality has increased both nationally and globally. Children continue to bear the brunt of poverty, especially children of color. Struggles for women’s rights continue around the world in the face of persistent gender inequality, oppression, and violence. 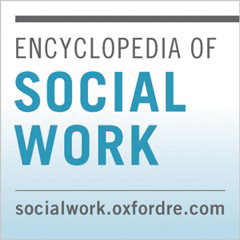 March is Social Work Month in the United States. Social workers stand up every day for human rights and social justice to help strengthen our communities. They can be the voice for people who aren’t being heard, and they tackle serious social issues in order to “forge solutions that help people reach their full potential and make our nation a better place to live.” There are over 600,000 social workers in the US alone. In nature, there are weather conditions, referred to as ‘perfect storms’, arising from a rare combination of adverse meteorological factors creating violent storms that significantly affect the socio-economic conditions of an area. Social scientists refer to similar adverse factors as cultural amplifier effects. Currently, there are approximately 2000 correctional and detention facilities in the US with over 450,000 employees. The Unknown Gulag in the The Seattle Times. "Lynne Viola...has produced a path-breaking and authoritative work on the subject."